A new weapon could be coming to the battle royale soon. With the release of the v8.20 update today, Fortnite data miners have been hard at work unearthing a slew of upcoming cosmetics and weapons in the battle royale’s latest files. Most recently, one of the game’s prominent leakers Lucas7Yoshi posted a clip to Twitter showcasing a new weapon–a bow with an explosive arrow equipped. The clip shows the bow’s turnaround and demonstrates its firing animation. But this isn’t the first time Fortnite fans have caught a glimpse of the weapon. In a promotional image posted by Epic Games at the start of season eight, the same bow is held ready to fire by a character on the right side of the screen. Epic has yet to reveal any additional information on the new item or when it will make its way to live servers, so it remains to be seen what the bow will be named or how much damage the weapon will inflict. Today’s update introduced a new poison trap, three new foraging items, and The Floor is Lava Limited Time Mode. 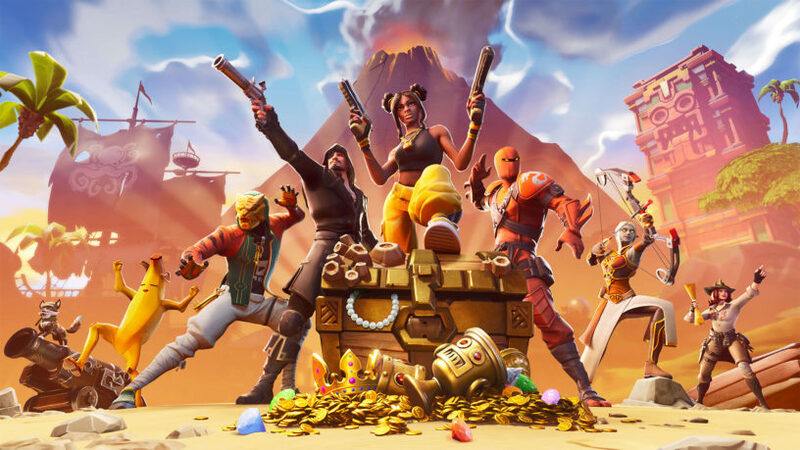 Additionally, a few changes introduced in previous seasons’ updates, including the Siphon mechanic and material drops, were rolled back with the latest update, leading many of the game’s popular streamers to criticize the latest patch. The full list of changes included in today’s v8.20 update can be found on Epic’s website.